Aims to bridge the gap between parallel computer architectures and the creation of parallel digital signal processing (DSP) algorithms. 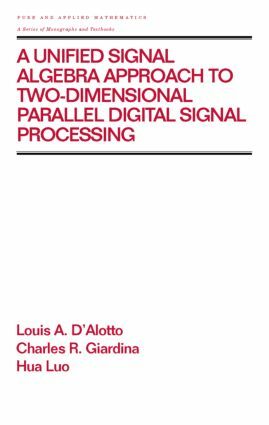 This work offers an approach to digital signal processing utilizing the unified signal algebra environment to develop naturally occurring parallel DSP algorithms. ;College or university book shops may order five or more copies at a special student price. Price is available on request. Two dimensional signals; fundamental operations on two dimensional signals; convolution of digital signals; Z transforms; difference equations; wraparound signal processing; parallel multidimensional algorithms for single dimensional signal processing. Appendix: set operations and morphology for two dimensional digital signal processing.